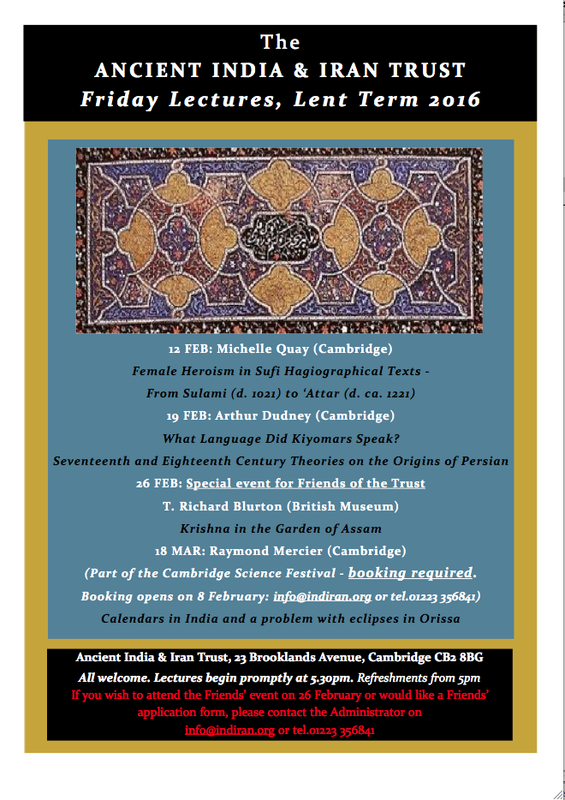 Friday evening lectures: Lent Term 2016, Ancient India and Iran Trust, Cambridge. Lectures begin at 5.30pm. Refreshments from 5pm. All welcome. (Part of the Cambridge Science Festival – booking required.